Google Drive, I had NO idea it could do that! I recently was able to attend the #GAFEsummit or #Gsuitesummit by the EdTechTeam. By the end of each day, my brain hurt from all the AWESOME knowledge that I was inputting! I have always been a wanna be techie! I have enough knowledge to be dangerous and to look like I know what I am doing…shhhh…I don’t always know what I am doing! But I have always loved technology. I have used word processing and spreadsheet programs for over 25 years. I remember when we got Commodore 64s at school. Yep, I remember loading DOS and then word! I also remember when my internet was “gopher”. Wow, I just went down tech-memory lane! This year I have a new role in my district. I am an SLP for some wonderful students as well as the assistive technology specialist for our small district. 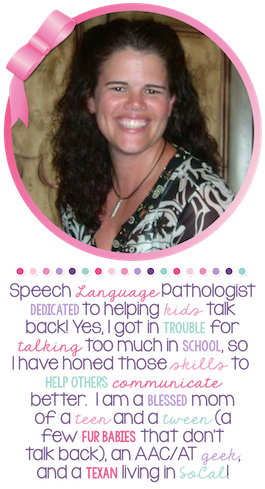 I have always been an AAC techie, but my role is so much more than just communication devices. I have had to open some new circuits to support the many different needs of our students. Thankfully I was able to attend an amazing conference a few weeks ago called #GAFESummit. I spent my weekend taking a variety of course on using Google for education. Thank goodness as our district uses ChromeBooks and Google Drive. Honestly, I had NEVER really used my google drive. Now, I am using it for EVERYTHING! I will admit that sometimes when I start to learn a program I want to throw my computer. Partially because I don’t read instructions or manuals and also because I do get frustrated when I don’t know how to do something, kind of like or students might! As I sat in these trainings, I learned how to open more tools without wanting to throw my computer or jump up and down in frustration. Now I have an extension, G Suite Training that helps me.. The GAFESummit opened my eyes to just a small part of what GSuite has to offer. Stay tuned for more info on GSuite! Extensions, Add-ons, Application: What’s the difference?